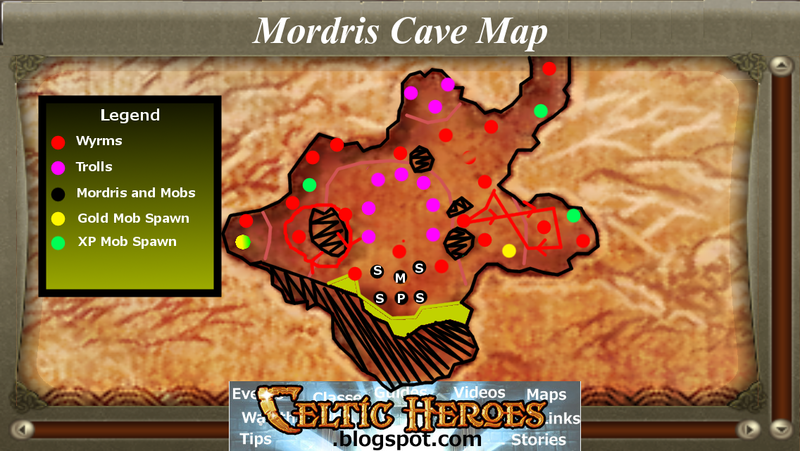 Here is a map that shows the mobs in Mordris' lair. It shows the locations and paths of all the mobs, and the locations of the rare spawn mobs. The trolls in front of Mordris have been changed by OTM since this map was created, to add more trolls, change their routes, and add rare spawn mobs. All other wyrm mobs have stayed the same.